Crucial issues including the wearing of helmets when riding bikes, the wearing of seatbelts, pedestrian safety and playing in safe places, are all incorporated into this lively and entertaining performance. Llynda doesn’t just talk about the issues, she involves the students in their practical application. Llynda takes the students on a journey to the circus. There is lots of audience participation, involving the wearing of seatbelts, choosing the right helmet for head protection, and student demonstrations of safe pedestrian practice. There is time for fun in the park where children are once again asked to participate, this time with some ball games. Finally, Llynda performs a traditional circus juggling act which will amaze, just what you would expect from one of Australia’s leading jugglers. In the early 1990’s Llynda co-wrote and performed in the ‘Click Clack Road Safety Show’ which was produced on behalf of the Roads and Traffic Authority of NSW. 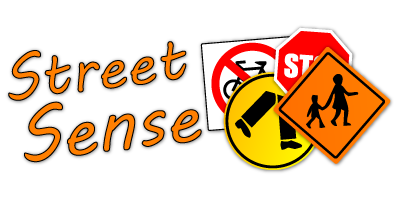 Responding to requests from teachers, Llynda wrote and produced Street Sense, which aims to introduce the concepts of Road Safety to the very young, as well as act as a reminder to students in the middle and upper primary years. Two times winner of the prestigious Mo Award, Llnyda has appeared on numerous television variety shows, performed in various venues across Australia and toured extensively throughout Europe. Tracey Rodmall. K-6. Benaraby State School. QLD. Mar 2018. Kids all enjoyed the show and were able to recall the safety messages. Everyone was impressed by the juggling! Llynda did a great job engaging all the children. Julie Zuino. Preps. Our Lady Of Mt Carmel. Coorparoo. QLD. Mar 2018. Michelle Macnaroe. P to Year 6. Mount Perry State School. Mount Perry. QLD. 31/08/2017. Times: Show: 50 minutes. Set up: 60 minutes. Pack up: 45 minutes. Requires an indoor performing area 4m deep x 5m wide with a power source. Lady Juggler ABN: 62 530 988 632.